Homepage» Fulbright ETA Monthly Highlights» Cohort 2017-2018» WORDS! WORDS! WORDS! ETA Nabeel Ahmad judged ETA Ian Morse’s local WORDS competition at MAN 2 Batuda’a. Nabeel jumped on the opportunity when Ian searched for judges. 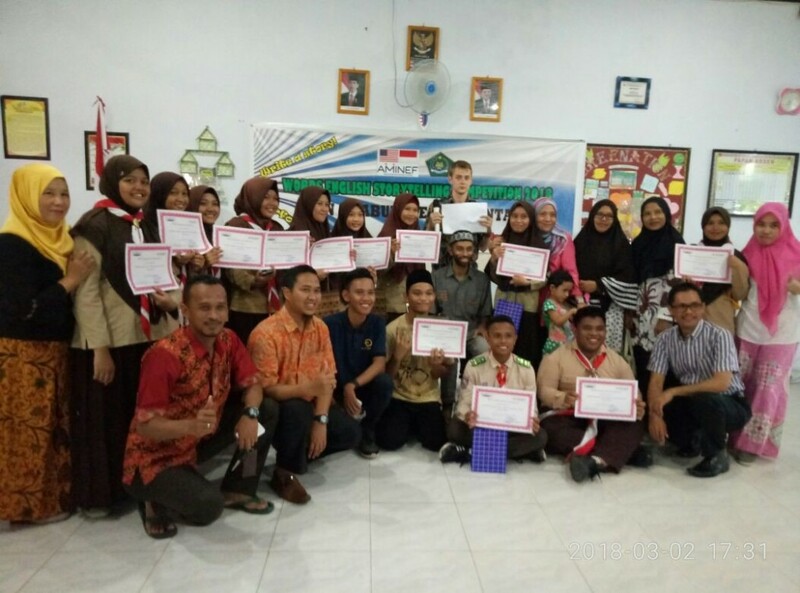 Ian selected two other judges in addition to Nabeel; his Indonesian language tutor and an alumnus of MAN 2 Batuda’a who study English at the local state university in Gorontalo City. Nabeel had the opportunity to attend Friday prayer with Ian’s students at the local mosque. After Friday prayer, Nabeel and Ian prepared for WORDS held in one of the English language classrooms. Nabeel witnessed many unique talents such as traditional Gorontalo dancing, a traditional song, and use of diverse props. One story Nabeel judged focused on overcoming a bully at school. Nabeel, along with the two other judges, had a difficult time selecting the top three winners. After deliberation, the top three winners were selected and awarded a present. Ian’s WORDS competition concluded with photo session and Gorontalo’s best snack: pisang dan kacang (banana and peanuts)! Yum!